This is more than expert women’s care. This is a guided journey. A purposeful plan for a lifetime of wellness, so you can feel strong, dream big, and be supported at every turning point. 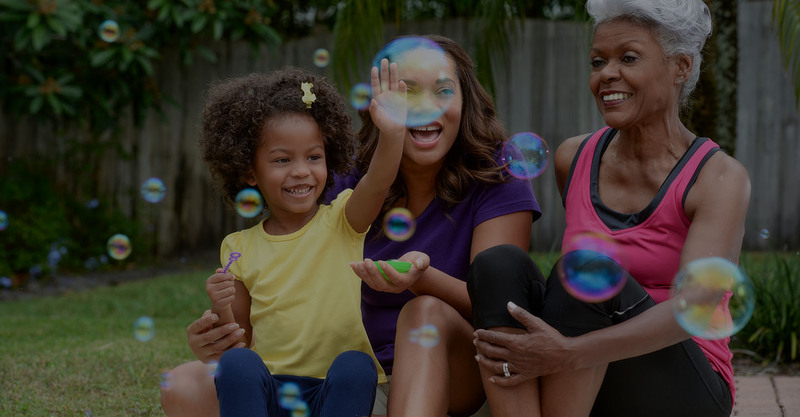 At AdventHealth, formerly Florida Hospital, for Women, you’ll find whole-person care that’s designed around how you live today and tomorrow. Access our care network from anywhere, whether you’re at Centra Care or visiting a physician’s office. No matter where you are, you’ll have a seamless experience across our network. Get the knowledge, personal attention, and resources you need at every stage of your journey. From well-woman checkups and mammograms to prenatal care and pelvic health, you’ll always have a choice of experts in a variety of specialties. Finally. A care destination created with you in mind. A ready network of support, your expert care team is here day and night to deliver knowledgeable guidance and thoughtful care. Annual well-woman exams, thyroid screenings, and more. From adolescence on, our comprehensive care helps guide you through your whole life. One size rarely fits all. That’s why, at each of our four locations, we help you personalize your delivery experience. And it all takes place in your own private suite. Find comfort with the country’s leading urogynecology experts and pelvic therapies, all of which are dedicated to getting you back to living life with confidence and comfort. Cancer is a marathon, not a sprint. And we’ll be here by your side for the duration, helping you reach toward a cancer-free finish line with leading-edge treatment and technology. You deserve a life that’s free of the strains and stresses of heart disease. Keep your heart beating strong with some of the best cardiac care specialists in the country. Getting the screenings, tests, and results you need should be easy and convenient. We offer evening hours and more. You want to feel confident in your labor and delivery care. Come tour our facilities and we’ll walk you through how we can help. Choose from locations in Altamonte Springs, Celebration, Orlando, and Winter Park. Take charge of your health today. We’ve made it easy for you to get the potentially life-saving screenings you need, with convenient testing locations, evening hours, easy parking, and more. No matter your question or concern, your Women’s Health Navigator is here to get you answers, connect you with the right resources, and help you find exactly what you need within our care network. You’re ready to find a true destination for all your health needs. Within AdventHealth for Women’s network, you’ll have access to 10 modern facilities and a level of personalized care that begins with your dedicated Women’s Health Navigator, a registered nurse who will help you explore your options, find the right fit, and connect you with the resources you need. Meet the bright minds behind our world-class women’s program and find the right specialist for you. After living with pain since age 17 and being told she needed major surgery by several physicians, Wendy finally found a doctor who gave her a less-invasive option for a pain-free future. Every day offers a chance to learn new things, find better ways, and change your course. We believe that education provides a path to better health, which is why we provide many opportunities for continued learning. We hope you join us.